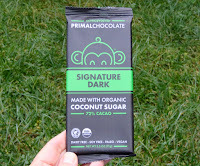 Welcome to Day #3 of Chocolate and Coconut Theme Week. 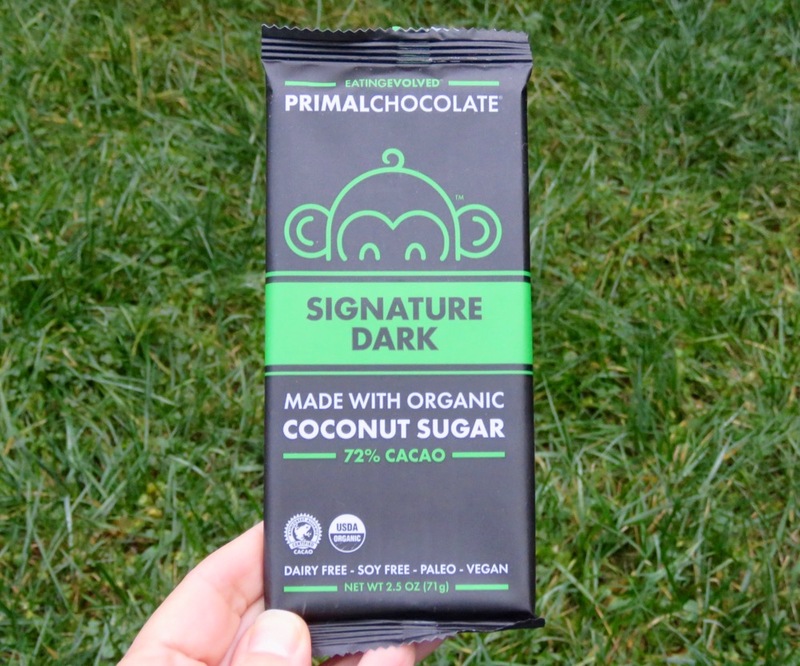 This dairy and soy free, paleo and vegan Signature Dark 72% Cacao bar from Primal Kitchen (Setauket, NY) was sweetened with organic coconut sugar. 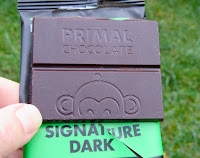 The well-tempered chocolate (with the monkey peeking over the top of every other segment) had a slightly artificial note toward the beginning of the tasting curve, but otherwise was rich with some balanced, slight fruit/nut acidity.